I’m starting a running blog! Again! I have a confession to make. I’m not very good at blogging. I just can’t stick with it. This is my 3rd attempt at starting a running blog. Nope, that’s wrong, this is the 4th running blog I’ve started. I really want to keep it up this time. I’ve just started training for my 2nd marathon, and I’d love to have a record of my training to look back on. And maybe (I hope), some day, people might even read this and leave comments to motivate me! P.S. 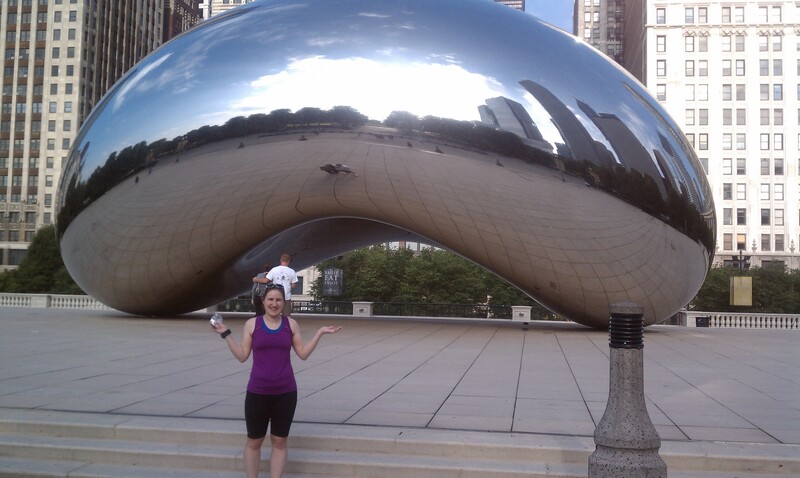 Here’s a picture from my recent trip to Chicago, taken right before we left on our running tour. run, amy, run! and keep on blogging! i’ll comment to motivate you if you keep blogging to keep me motivated.